Each face mask is made from high-quality materials and features a soft cushion which seals gently to the patient's face and a faceplate which is slightly raised around the nose to provide a higher degree of comfort for the patient and a higher degree of clearance to ensure a good seal between the patient and mask. 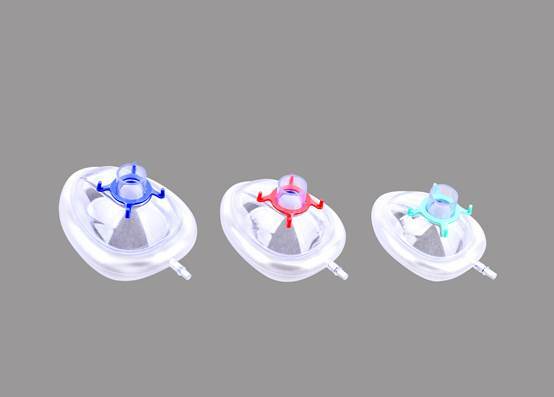 Economic Infant Anesthetic Mask is designed and produced for short-term anesthesia before surgery. It is more economic than PVC anesthesia mask and it is softer and more comfortable.